MontyC returning here after MUFD took a little break... although things are not "normal" right now, they're a bit more stable, at least! So - back to some blogging, finally, thank goodness! So what it is and what is it supposed to do? 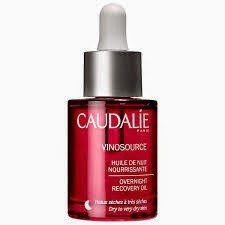 Caudalie describe this oil a "unique blend of six active and 100% natural oils which melts into skin to nourish the epidermis deep down, repair the skin barrier and soothe sensitive skin. Upon awakening the skin is smooth, restored and more resilient". And it really does all of the above. With bells on. This gorgeous oil is aimed squarely at those of us with dry to very dry skin (combination and oily peeps there are lots of other oils out there for you, this one ain't for you). It has soothed and nourished my skin to the max. It can be applied directly onto clean dry skin or after your serum, whichever you prefer (personally I apply face oils after my serum, especially in the winter). This is a rich yet soft-feeling dry oil, which melts deliciously into your skin, and if you're anything like me, you will wake up the following morning with lovely, soft, glowy skin. With ingredients mainly comprising lots of natural (and mainly organic) oils - like grape seed oil, jojoba seed oil, sesame seed oil, sunflower seed oil, rose damascena flower oil, rosemary leaf, geranium, it's aromatherapy-in-a-bottle too - scent-wise, the fragrance is predominately one of a clean, warm rose scent but it's not an overpowering one and does wear down quickly (to be expected given the rose and geranium contents). 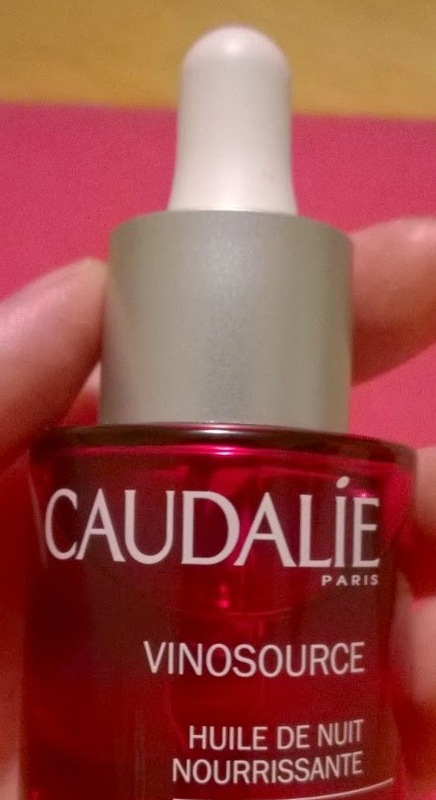 Caudalie recommend that you apply six drops in the evening, either alone or before your moisturiser, avoiding the eye area (as you'd expect - oils, they don't go there!). 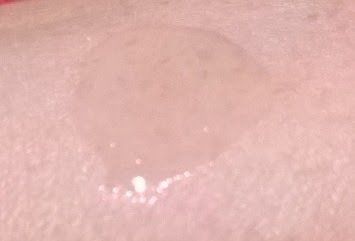 What I like to do is warm anywhere between four and eight drops (depending on how much I feel I need on a particular night) between my finger tips and then pat and massage the oil into my face and down onto my neck. And then release a happy sigh :-) If you feel you need (or just fancy) a moisturiser afterwards, fire ahead but there may not be any need if you feel the oil is more than enough (depending on how dry and/or knackered your skin is). Definitely a night-time treatment though, not one for the day I feel. I bought mine at Arnotts in Dublin and paid €33 for 30ml. 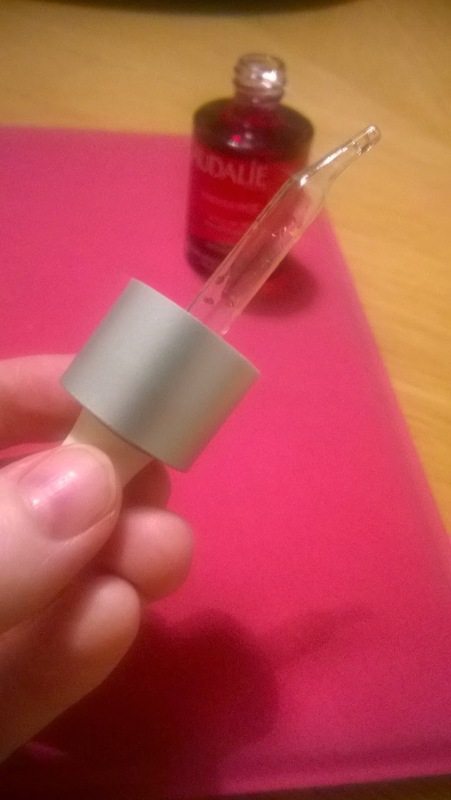 Although 30ml doesn't sound like a lot of product, believe me, I've been whacking on this oil very enthusiastically for weeks now and I've hardly made a dent in the bottle. I think this oil is good enough to go toe to toe with the best of them. If you've been drooling over the Sisley Black Rose oil (read my review of that product here) but perhaps it's either out of your budget or it's a lot more than you're comfortable paying for skincare, check out this one instead - it's just as beautiful, just as effective, and (like the SOS serum), unbelievably fantastic value for money.